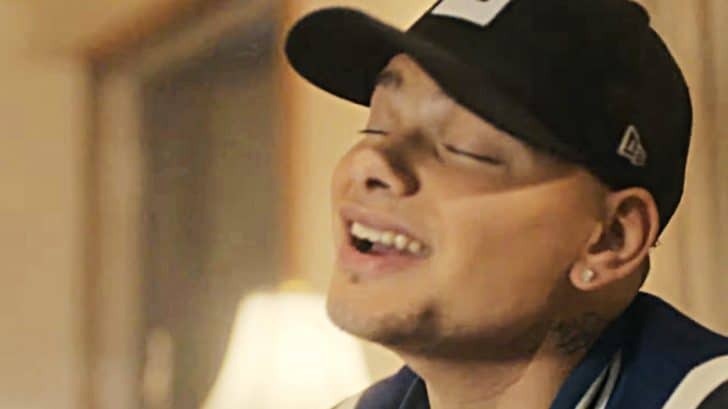 When Kane Brown revealed on Instagram that he was shooting a music video for his song “Good As You,” fans thought he had already released it. In the caption of a photo of him and a young actor playing a young Kane, he revealed that the video would star This Is Us actor Lonnie Chavis, and really showed what his childhood was like. Good as you video releases Thursday!!! Really shows my life growing up as a kid… and I got the one and only @lonniechavis from this is us to play me 🔥🔥 Little KB!! “I thought the video was already released?” fans commented. They are referring to the footage Brown released of his romantic wedding to his wife Katelyn. They were married on October 12, 2018 and the video was released shortly after. The new music video reveals that yes, “Good As You” is a love song, but it’s actually about Brown’s mom and grandmother, who raised him. The video shows a young Kane laying in his bed, with his mom coming home from work in the middle of the night. As he peeks out from his room, he sees her and his grandma worrying about bills. The next day, his mom makes him lunch and sends him off on the school bus, where he gets bullied. At the end of the school day, the bullies follow him on his walk home and push him to the ground. His grandma, a sheriff, breaks up the fight and drives him home, where Kane and his sister make dinner for their mom, and decorate the living room, for when she comes home from a shift. Making this music video and dedicating it to his mom and grandma, whom he calls “Nana,” was very important to Brown. He explains his video inspiration below. We bet his mom and his nana are loving this video. We know we are. Watch it below!